Why do we have leg veins? The job of our leg veins is to drain blood back from our legs to the heart. The heart pumps blood out into the arteries to provide oxygen and nutrition to the body before the veins drain the blood back to the heart to create a circle of blood flow. The circle of blood flow is called our circulation with the arteries taking blood away from the heart and the veins taking blood back towards the heart. There are 2 main vein systems in our legs, the surface (superficial) vein system which collects blood, and the deep vein system that drains blood back towards our heart. Blood flow in veins should be inwards, from the surface to the deep, then upwards from the extremities to the heart. To direct blood flow inwards and upwards there are a number of valves inside the main veins that work like trapdoors that open to let blood flow upwards but shut to prevent blood flowing back down the leg. Leg veins vary significantly in their size and colour. Very small veins on the surface of the skin are often termed spider veins because the fine interconnecting little veins can resemble a spider web pattern. The smallest spider veins are red in colour and medically we term these tiny blood vessels telangiectasia. Slightly larger spider veins are blue to purple in colour and medically we term these venulectasia. Spider veins can be isolated or can form a cluster in which case it is known as a venular flare. Varicose Veins are much larger blue veins that are graded from Grade 1 to Grade 4 depending on how large they are and whether they bulge above the surface level of the skin (with Grade 4 being the largest). The superficial Varicose Veins that feed into areas of spider veins are called Reticular Varicose Veins and to treat spider veins these feeder veins usually also need to be treated for the best results. Varicose Veins that bulge above the surface of the skin usually come from 2 main vein drainage systems in the leg, one on the inside of your leg which is called the Great Saphenous Vein System and the other on the back of the knee called the Short Saphenous Vein System. Vein drainage should be from these surface vein systems inwards to the deep veins. Varicose veins develop in these superficial vein systems when the valves inside these main veins become faulty. If the valves inside these surface veins become stretched and faulty it results in blood pushing back to the surface of the skin and causes the veins to bulge. Figure A shows a normal vein with a properly working valve; there is normal blood flow. 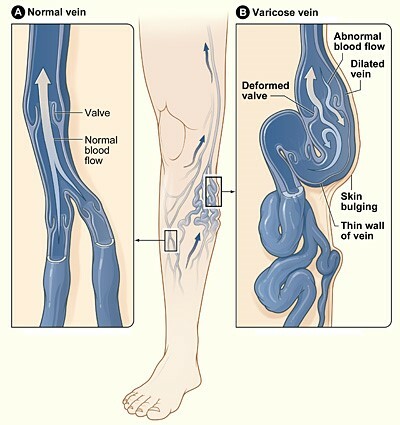 In Figure B, the varicose vein has a faulty valve, there is abnormal blood flow, the walls of the vein are thin and stretched. The image in the middle shows where in a leg the varicose vein might appear. When the backward pressure from the deep veins to the surface veins increases, this back pressure, which is called Venous Reflux, can compromise the flow of blood from the arteries into the legs. When this back pressure becomes excessive it can result in swelling and damage to the skin (called Chronic Venous Insufficiency (CVI). The skin changes from CVI in the lower leg can range from dryness through to brown staining, excema (Varicose Excema) and in severe cases ulcer formation (Varicose Ulcer). What causes Varicose Veins and SpiderVeins? Genetic factors play a large role in determining the likelihood of developing Varicose Veins and Spider Veins. It is very common for patients presenting with Varicose Veins or Spider Veins to have a family history of leg vein problems. The genetic tendency can be inherited from either the maternal or paternal side and there is a much higher chance that a person will develop Varicose Veins or Spider Veins if both parents have Varicose Veins or Spider Veins. The tendency to develop Varicose Veins or Spider Veins sometimes seems to skip a generation, and if parents don’t have Varicose Veins or Spider Veins, there is often a strong history of Varicose Veins or Spider Veins in the grandparents. Varicose Veins and Spider Veins can occur at any age, and whilst Spider Veins and even Varicose Veins can be a problem for some teenagers, the typical onset of Varicose Veins and Spider Veins is between 18-36 years of age with a peak incidence by 50-60 years of age. Around 50% of adults develop Varicose Veins or Spider Veins at some time in their life and once Varicose Veins or Spider Veins occur they have a strong tendency to continue to worsen as a person ages. Varicose Veins and Spider Veins are much more common in women than men. Pregnancy is a particular time that Varicose Veins can worsen in women. It may be that Varicose Veins appear for the first time during a pregnancy, or if a woman has pre-existing Varicose Veins before pregnancy, then they worsen during the pregnancy particularly in the last trimester. Multiple pregnancies are an even bigger risk factor for Varicose Veins, and typically with each successive pregnancy the Varicose Veins worsen more during each pregnancy and also recover less after each delivery. Pregnancy is a particular time of stress on the leg vein system because of factors such as weight gain, increased blood volume and pressure from the baby in the Uterus on veins in the abdomen trying to get blood back to the heart. Another factor is the hormonal changes that occur during pregnancy to allow the body to stretch to accommodate the developing baby, also predispose to leg veins and their valves stretching and becoming faulty. Whilst men suffer from unwanted leg veins less frequently than women, if men present with unwanted leg veins, they are much more likely to be Varicose Veins and less likely to be Spider Veins. This is partly because men are less likely to be troubled by the appearance of Spider Veins because of hairy legs that can obscure unsightly spider veins, but the incidence of Spider Veins in men also seems much lower than in women, presumably because of hormonal factors. Studies on Spider Veins to try and detect hormone receptors in the vein wall have not been able to establish a causal relationship, however anecdotal evidence suggests hormonal factors are important in the development of Spider Veins as women often associate the appearance and/or aggravation of Spider Veins with being on the Oral Contraceptive pill. There appears to be an increased risk of developing Varicose Veins in people working in occupations that involve prolonged standing. This includes occupations such as hairdressers, theatre nurses, surgeons and production line workers. Obesity has an association with Varicose Veins and Spider Veins but it doesn’t appear to be a direct cause and effect relationship as thin people can have Varicose Veins and Spider Veins and overweight people can have none. If you inherit the genetic tendency to Varicose Veins and Spider Veins then you almost certainly will develop them to some degree. However, whilst there is no proven method of preventing Varicose Veins and Spider Veins from ever developing, there are certain things that can slow the rate of progression and their severity. Doing all the right lifestyle choices such as regular exercise, not being overweight and avoiding standing stationary for prolonged periods of time may help slow the rate of progression. Conversely doing all the wrong lifestyle choices will hasten the rate of development of Varicose Veins and Spider Veins. There is no evidence that cigarette smoking is associated with the incidence or severity of either Varicose Veins or Spider Veins, however in terms of the circulation smoking is certainly associated with arterial blood vessel damage and problems such as peripheral vascular disease, heart attack and stroke. Support stockings can help slow the rate of progression of Varicose Veins and Spider Veins if they are used at times of increased risk. If someone has a tendency to Varicose Veins or Spider Veins during pregnancy or in occupations or activities that involve long periods of standing, then the use of support stockings may help prevent Varicose Veins or Spider Veins deteriorating as quickly. Certainly support stockings can help alleviate symptoms such as aching, heaviness, tiredness and swelling associated with Varicose Veins. One special circumstance where support stockings may help prevent the development of Varicose Veins is after a deep vein thrombosis (DVT). Following a DVT, which is essentially a blockage to a deep vein, usually in the calf, blood can be pushed into the surface veins causing what are called secondary varicose veins. The use of support stockings after a DVT may help prevent these types of Varicose Veins but more importantly will help minimise the chance of developing chronic circulation problems (called the Post Thrombotic Syndrome). In terms of nutritional supplements, whilst there are supplements such as Horse Chestnut that can sometimes help alleviate some of the symptoms from leg veins, there are no supplements that have been scientifically proven to maintain ‘vein wall health’ and prevent Varicose Veins and Spider Veins despite marketing claims. There are essentially only 3 methods to treat unwanted leg veins: Surgery, Injections and Heat. The choice of which treatment method is most appropriate for an individual will depend on various factors such as the size of the veins, position on the leg and whether there are any underlying deep vein issues. When deciding on the best treatment option it is important to balance up which treatment will give the best long term results against possible risks and costs associated with more invasive procedures. It also always needs to be borne in mind that whether you treat leg veins or not, if you have a tendency to get Varicose Veins or Spider Veins in the first instance, then you will still have a tendency to develop more in the future. In treating Varicose Veins and Spider Veins we are trying to control the problem rather than being able to cure them permanently. Surgery has become increasingly regarded as the treatment of last choice for Varicose Veins. Unlike 10-20 years ago when surgery was commonplace, in current practice surgery is really only considered in the most severe of leg vein cases such as Varicose Veins associated with skin ulcers. The reason so little surgical treatment of leg veins is performed nowadays is because of the development of very effective non-surgical treatments with fewer complications, and also studies demonstrating quite high recurrence rates of further Varicose Veins developing after surgery. Sclerotherapy is the name used to describe injection based leg vein treatments. Sclerotherapy can be used to inject Spider Veins or Varicose Veins on the surface of the skin in which case we call it Surface Sclerotherapy. Sclerotherapy can also be used to target deeper Varicose Veins below the surface of the skin. To accurately target these deeper veins an ultrasound needs to be used to visualise structures below the surface and then accurately guide the injection, hence we call this Ultrasound Guided Sclerotherapy (UGS). Heat can also be a very effective method of sealing off and destroying Varicose Veins and Spider Veins. Heat or thermal energy can be generated by 2 main devices viz Lasers or Radiofrequency machines, and can be used to treat both surface veins and deep veins. When thermal energy from a laser is used to target surface veins it is called Surface Laser treatment and when the heat comes from a Radiofrequency machine it is called Surface Radiofrequency treatment. To deliver heat energy below the surface of the skin it requires a small tube, called a catheter, to be inserted through a tiny skin incision and an ultrasound is needed to visualise and guide the treatment of these deeper veins. The term Endovenous means ‘inside the vein’ and all Ultrasound Guided treatments are often referred to as endovenous to distinguish them from surface vein treatments. The use of a radiofrequency machine to generate the heat necessary to treat deeper Varicose Veins through a catheter can be termed Ultrasound Guided Radiofrequency. As there is only one major manufacturer of radiofrequency machines for treating deeper veins the procedure is commonly referred to as VENEFIT which is the name the procedure has been given by the manufacturer. The catheter used in the VENEFIT procedure has been called Closure Fast which is a marketing name to highlight the speed of the procedure. When using a laser to treat deeper veins it can be generally called Ultrasound Guided Laser however the procedure is commonly referred to as EVLT (EndoVenous Laser Treatment) although strictly speaking this is a term that has been registered by DIOMED who are the manufacturer of the first laser kit used for this procedure. There are now many different makes and models of lasers and laser fibres used to perform this procedure and so terms like EndoVenous Laser Ablation (EVLA) and Endovenous Laser Therapy (ELT) have become more frequently used as general terms to describe this procedure. A Leg Vein Consultation is the first step in having the nature and severity of any leg vein disorder assessed and a management plan established. 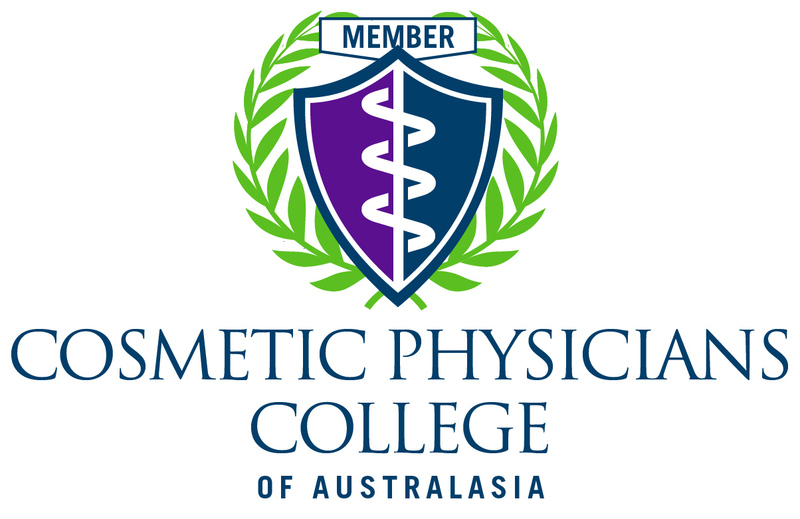 Whilst many patients are referred to our clinic by their GP a referral is not necessary to be able to claim back a Medicare rebate for a Leg Vein Consultation. 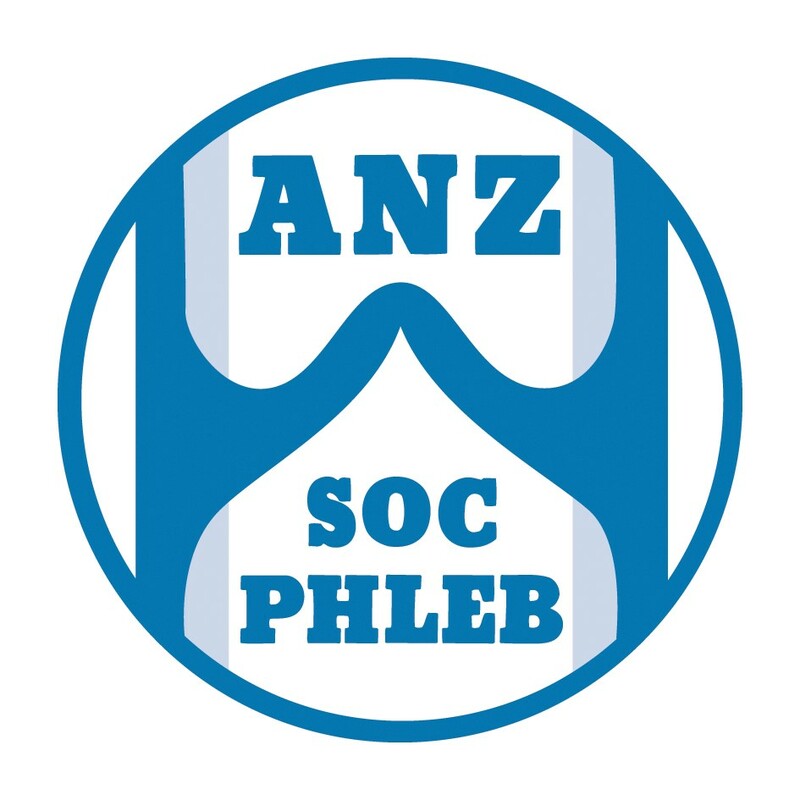 A Leg Vein Consultation is conducted by one of our experienced medical practitioners who specialise in the assessment and management of leg vein disorders (called a phlebologist). A history will be taken focusing on your personal history of vein symptoms and past vein treatments, family history, other medical conditions, current medications and allergies. A clinical examination will be undertaken of your leg from the groin to the feet, so having a pair of shorts to put on can be helpful. An Ultrasound examination with a Doppler Ultrasound will be performed to check for any problems in the deep veins particularly screening the groin and back of the knee which are the main vein drainage areas. The Ultrasound Scan involves ultrasound gel on the skin and some squeezing of the leg but is not uncomfortable. Following the clinical and Ultrasound assessment the nature of your leg vein problem will be explained and treatment options discussed. Depending on the findings of the Leg Vein Consultation it may be appropriate to refer for a more detailed Mapping Scan. A patient can be referred for a Mapping Scan direct from their GP or by one of our leg vein doctors following a leg vein consultation. A Mapping Scan is a much more detailed examination of the deeper leg veins with an advanced ultrasound called a Duplex Ultrasound. The Duplex Ultrasound uses colour flow scanning technology to more accurately identify the site and degree of any problems with underlying deeper veins. As with all ultrasounds it requires ultrasound gel to be applied to the skin and particularly focuses on the main leg vein drainage areas including the groin, the back of the knee and other main connecting veins. The Mapping Scan requires the patient to stand for some of the examination and is not painful. The Melbourne Leg Vein Centre is a Government accredited Medical Imaging Service and the Mapping scan is performed by a specialist Vascular Surgeon who is also the doctor who performs our Ultrasound Guided treatments. This enables the Mapping Scan results to be discussed at the time of the scan rather than requiring a further review appointment. It also means if an Ultrasound Guided procedure is indicated then the doctor performing the Ultrasound scan is the same doctor using the Ultrasound information to perform the Ultrasound guided treatment. As the mapping scan is performed by a vascular surgeon at an accredited Imaging service a referral from your GP or from one of our leg vein doctors is required for a Medicare rebate to be claimed.